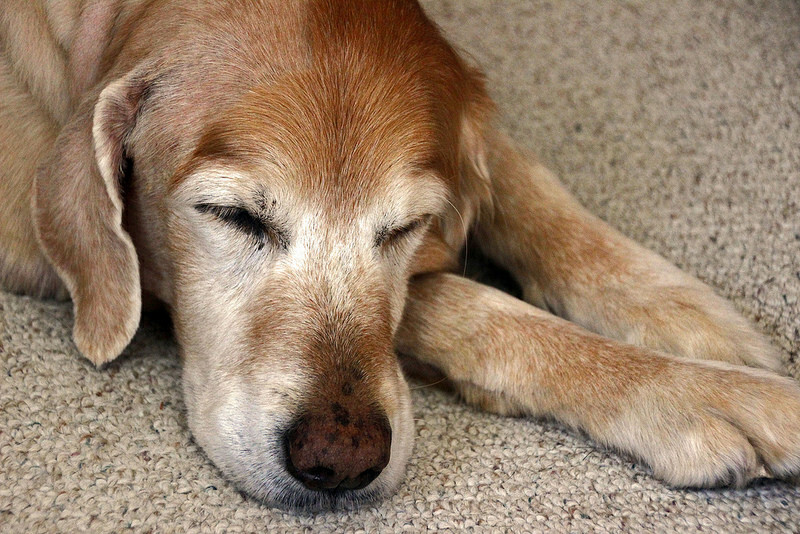 As our pets get older, they tend to need more specialized care. Sometimes this is medical care, and sometimes it is just sanitary and mobility assistance. We encourage your pet to be seen every 6 months after age 8, and at the very least, every 12 months. Pets age much faster than we do, and 1 calendar year can make all the difference. We offer a variety of surgical, medical, nutritional, and therapeutic services to make your pet's golden years happy and comfortable. As pets become more and more a part of our family, we want to treat them like family, even as they age. Pets don't need a fancy red sports car, a generous retirement account or a fulfilling job. Their basic needs include being able to eat, drink, breathe, walk, urinate, defecate, groom and sleep, all in a pain free manner. And hopefully, you can expect a little tail wag here and there from a dog and a happy meow from a cat. This list is certainly debatable, I admit it. One could add that a pet should be free of loneliness, fear and boredom. But I think the short list is a good starting point when you consider medical conditions. If any of these basic bodily functions doesn't take place, or if it occurs with discomfort or pain, then your pet has a decreased quality of life. What can you do then? You need to start by having a serious conversation with your family veterinarian. Questions that need to be answered are: Why is my pet painful? How can we decrease the pain? Can medications or surgery help? How can you tell if your pet's quality of life is changing? One subjective but simple way is to use a scale from 1 to 10, 1 being the poorest quality of life and 10 being the best. If you rate your pet as a 9 in January and a 3 in June, then it is time to face reality. You need to have a heart-to-heart discussion with your family and your veterinarian about what can realistically be done. For a more thorough & slightly fancier quality of life scale, you can visit Lap of Love's QOL Scoring Tools, or download the GreyMuzzle App. If you question your pet’s quality of life, you can print a few copies of the “HHHHHMM” Quality of Life scale. Then fill in a form regularly, monthly, weekly or even daily depending on the situation. This will help you see a trend more objectively: is your pet’s status the same, better, or worse than last time you assessed the situation? Remember this very important concept: "age is not a disease." Just because a pet is 12 or 14 or 16 years old does not mean you should give up easily. That said, if neither pain management nor medical and surgical treatments can help, then maybe it is time to consider euthanasia. As emotionally and ethically difficult as it is for a pet owner, the whole family, and the veterinarian and their staff, euthanasia is sometimes the only reasonable, humane solution. It may be the only way your pet finds relief. For a pet, quality of life includes the right to end suffering with dignity when all reasonable options have been exhausted. For pets that may find a vet visit with a trip in the car too stressful in their old age, or for the family who would prefer more privacy, we recommend in-home hospice care and euthanasia, provided by Lap of Love. They service the central Ohio area and are a wonderful choice for a more intimate care experience. They also offer many helpful resources for owners currently caring for geriatric pets, especially regarding end of life decisions.